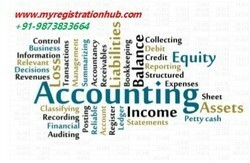 My Registration Hub - Service Provider of accounting services, vat returns & vat registration services in Delhi. All businesses are required to keep regular accounts not only to comply with the statutory requirements under Income Tax Act and VAT but also to know the periodical profitability of business so as to plan and make decisions for more focused future growth. Good bookkeeping practices also benefit the business by helping you manage and control your finances, plan for future growth and ensure that your accounts are completed more efficiently, which should in turn avoid late filing and other penalties. 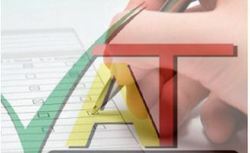 Every registered dealer who is liable to pay tax under the Delhi Value Added Tax Act, 2004 shall furnish to the Commissioner such returns for each tax period and by such dates as may be prescribed and in the prescribed form. We provide consultancy on matters related to Sales Tax including tax planning, Preparation of VAT Returns, Filing of electronic/manual VAT Returns, Liaison with VAT authorities etc. 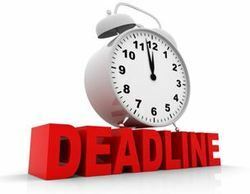 Needless to say, late VAT registration, errors, late VAT returns and late VAT payments can all lead to penalties and possibly interest being charged. So, allowing us to take care of your VAT affairs not only give you peace of mind, but it should also avoid you wasting your hard-earned cash on penalties and interest. The Value Added Tax (VAT) is a tax on the value added by any business intermediary through his own activity on the goods and services it buys from the other business intermediaries. (3) Fees taken in Court or Tribunal established under any law for the time being in force. 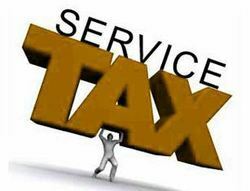 With effect from 1st July, 2012, almost all services have become taxable except those seventeen services which are given in the Negative List of Services or which have been specifically exempted by virtue of an Exemption Notification such as Notification No. 25/2012 dated 20th June, 2012. Registration under Service Tax is the first procedural step to be taken by a Service Tax Assessee. According to Section 69(1) of the Act, every person liable to pay service tax is required to make an application for registration. As your business grows, your bookkeeping and accounting requirements also grow with it. The Year-end accounts provide invaluable information about your business and are particularly useful if for example you are planning to apply for a loan or mortgage. Your accounts will be prepared in accordance with the applicable Accounting Standards and IFRS. 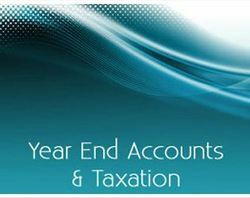 Whether you are a sole-trader, partnership firm or a private limited company, outsourcing the work related to preparation of your year-end accounts will relieve you of what can be extremely stressful and time consuming exercise. Under Section 92 (5) of the Companies Act, 2013, If a Company fails to file its Annual Return as above before the expiry of the period specified under Section 403 with additional fee, the Company may be punishable with a fine which shall not be less than Rs. 50,000/- (Rupees fifty thousand only) but which may extend to Rs. 5,00,000/- (Rupees five lacs only) and every officer of the Company who is in default shall be punishable with imprisonment for a term which may extend to six months or with fine which shall not be less than fifty thousand rupees but which may extend to five lacs rupees, or with both. As part of annual filing, every Company incorporated under the Companies Act, 1956, are required to file the following e-forms with the Registrar of Companies (ROC)Form 23AC	for filing Balance Sheet by all the CompaniesForm 23ACA	for filing Profit & Loss Account by all the CompaniesForm 20B	for filing Annual Return by Companies having Share Capital.Form 66	for filing Compliance Certificate by Companies having paid up capital of Rs. 10 Lacs to Rs. 5 Crores.Form 21A	for filing Annual Return by Companies not having Share Capital. Meetings of Board of Directors, Shareholders, Creditors etc. Filing of various compliance and other forms with the Ministry of Corporate Affairs for events like – Change in Registered Office of the Company, Change in Directors, passing of Special Resolutions etc. We offer a range of services intended to assist the administration of your company, particularly in respect of your statutory obligations. Most of these services can be added to your order for the formation of a company, but they can also be added any time after incorporation or for any existing company. With a constantly evolving tax system in India, effectively managing tax affairs is an increasingly challenging but essential part of your business or personal financial and tax planning. In this fast paced tax environment we can help you or your business money and time, and help you to plan your tax affairs effectively and efficiently. We also provide specialist taxation advice for private and individual clients giving you the detailed insight you need to make effective taxation decisions. Capital Gains Tax and exemptions and deductions. Liaisoning with Income Tax Authorities. 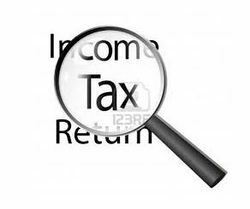 At KARA Professionals we have kept up to date with the growing complexities and new laws, rules and regulations of Income Tax Act. Clients can rest assured that we have the knowledge and expertise to plan the most efficient tax strategy for clients. - A Partner cannot file a suit in any Court against the Firm or other partners for the enforcement of any right arising from a contract or right conferred by the Partnership Act. - A right arising from a contract cannot be enforced in any Court by or on behalf of your firm against any third party. - The firm or any of its partners cannot claim a set off or other proceedings in a dispute with a third party. Limited Liability Partnership (LLP) is a new corporate structure that combines the flexibility of a partnership and the advantages of limited liability of a company at a low compliance cost. 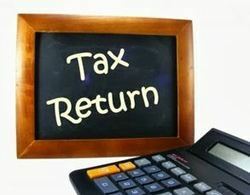 (b)	being a person other than a company or a firm, if (i) his total income or (ii) the total income of any other person in respect of which he is assessable under the Income Tax Act, 1961, during the previous year, exceeds the maximum amount which is not chargeable to income tax shall, furnish a return of his income or the income of such other person. 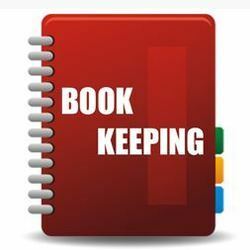 We provide regular Book Keeping and Accounting Services. We have vast knowledge and experience on the subject and we can easily take away the hassle of bookkeeping. We offer fixed competitive fees that are payable monthly so that you can spread the costs. According to Rule 7(1) of Service Tax Rules, 1994 every assessee shall submit a half yearly return in Form ST-3 or ST-3A, as the case may be, along with the copy of form TR-6 or GAR-7 (as substituted) in triplicate for the months covered in the half yearly return. - Maintenance of Minutes Books, Statutory Registers and other support services. - Meetings of Board of Directors, Shareholders, Creditors etc. - Filing of various compliance and other forms with the Ministry of Corporate Affairs for events like – Change in Registered Office of the Company, Change in Directors, passing of Special Resolutions etc. We provide Export-Import consultancy including issue of IEC code, DGFT matters etc. Although regular assessment in respect of any income is to be made in a later assessment year, tax on such income is payable in the previous year itself in the form of TDS/TCS that is to say, in respect of certain incomes and payments, tax is to be deducted at source by the payer at prescribed rate at the time of accrual or payment of such incomes to the payee whichever is earlier. In the same way, on some instances, tax is to be collected at source by the seller from buyer or by a person from licensee/lessee etc. at the time of debiting the amount to account of the buyer/licensee/lessee or the receipt of payment whichever is earlier. Similarly, in certain cases, it is obligatory on the part of the assessee to pay tax in advance in certain instalments. The obligation to deduct tax at source is on the person responsible for payment of income/amount which is subject to TDS. So, such person has to deduct tax from the income/payment mentioned in various sections i.e. section 192 to 196D and to deposit the amount so deducted in Challan No. 281 within the requisite time to the credit of Central Government. We provide all services related to TDS matters. ISO 9001 is the internationally recognised standard for the quality management of the businesses. It applies to the processes that create and control the products and services an organisation supplies and prescribes systematic control of activities to ensure that the needs and expectations of customers are met. ISO 9001 is designed and intended to apply to virtually any product or service, made by any process anywhere in the world. - ISO 9001 certification by an accredited certification body shows commitment to quality, customers, and a willingness to work towards improving efficiency. - ISO 9001 certification enhances company image in the eyes of customers, employees and shareholders alike. - It also gives a competitive edge to an organisation’s marketing. We provide all services relating to NGOs including registration and post registration compliances. We provide Trade Mark / Brand Name Registration Services.